On 11th March 2019, Vidyarambha Ceremony was conducted for KG and Class I students at VKV Ramnagar. 32 Students came with their parents in morning. Gayatri Yagna was conducted along with Maa Saraswati Puja and Ganesh Puja. 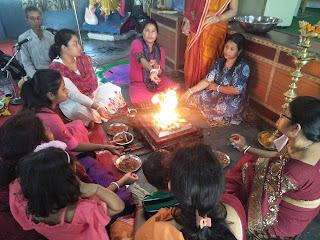 Parents and students took part in all the rituals. students started their study by writing "Om" in their copies. after Puja Prasad distribution was their. Program concluded with Shanti Mantra. 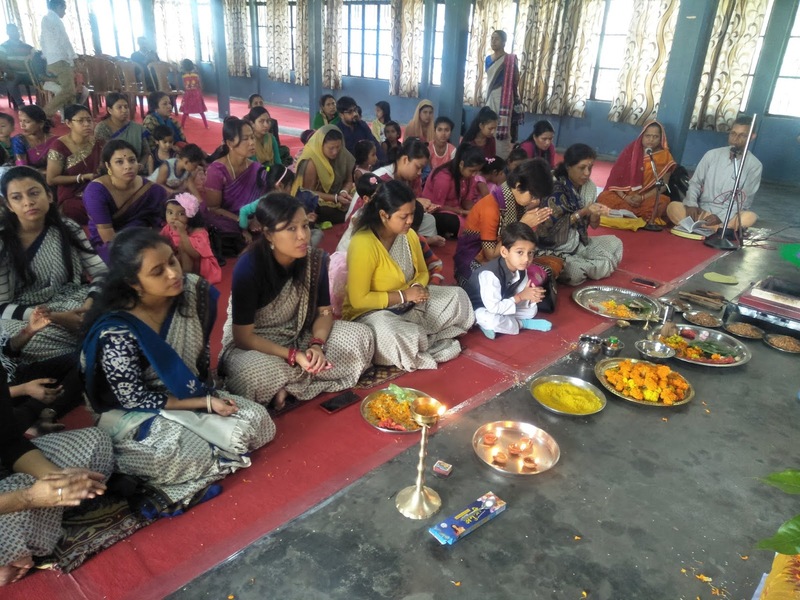 On 18th February 2019, Thakur Ramkrishna Jayanti was observed in Vidyalaya. Various programs were conducted on the occasion. Students of Class IV presented Guru Bhajan. Mamta Singh of Class V spoke on the significance of the day. 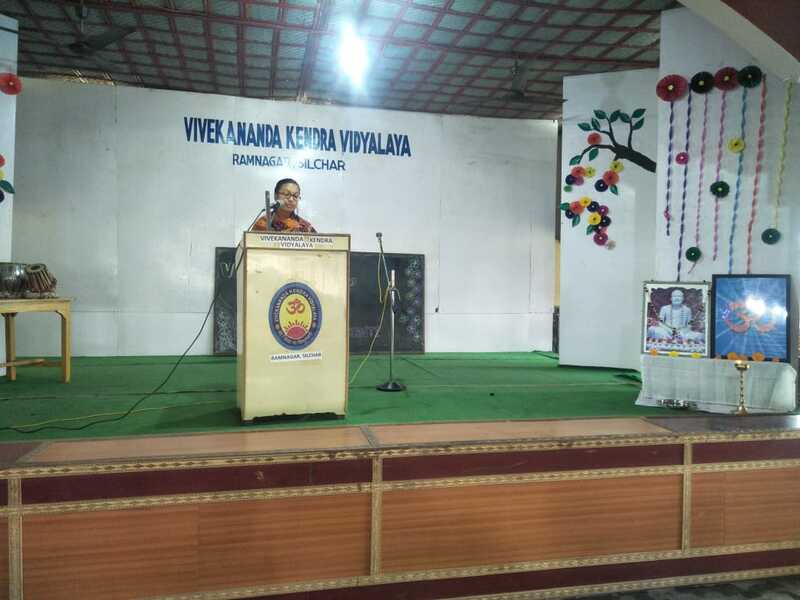 Smt Nili Nath (Teacher of Vidyalaya) spoke on the importance of the day narrating different incidents from the life of Thakur Sri Ramkrishna. 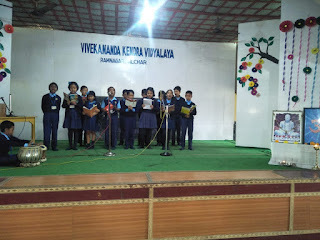 Students of Class V presented song. Program concluded with Shanti Mantra. On 16th February 2019, Matri-Pitri Puja was organized in Vidyalaya. Students came with their parents. Chief guests of the program were Dr Himadri Sekhar Das (Professor of Physics department, Assam University) and Sri Jayanta choudhury (Senior Demonstrator of Polytechnic, Silchar). Students at first washed their parents feet and then everone headed towards Prayer Hall. Everyone then offered flowers to Bharatmata. 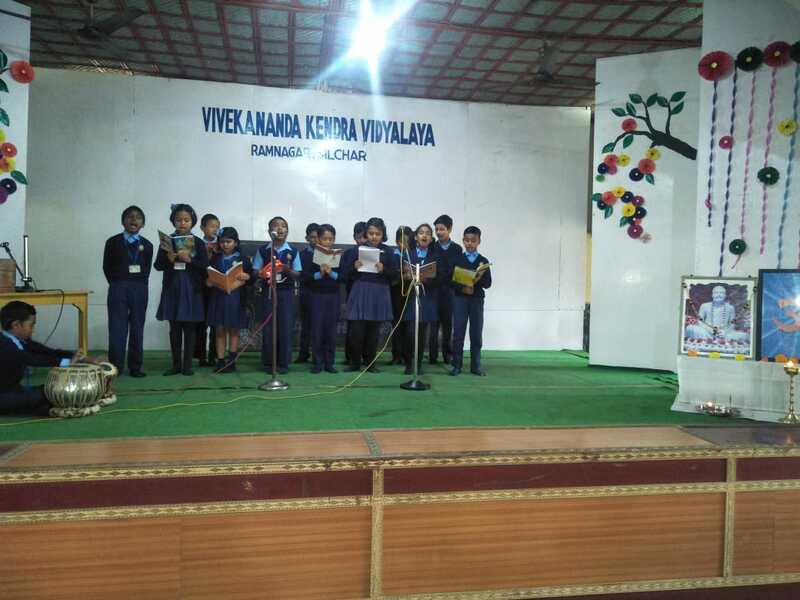 Students of Class IX presented patriotic song. 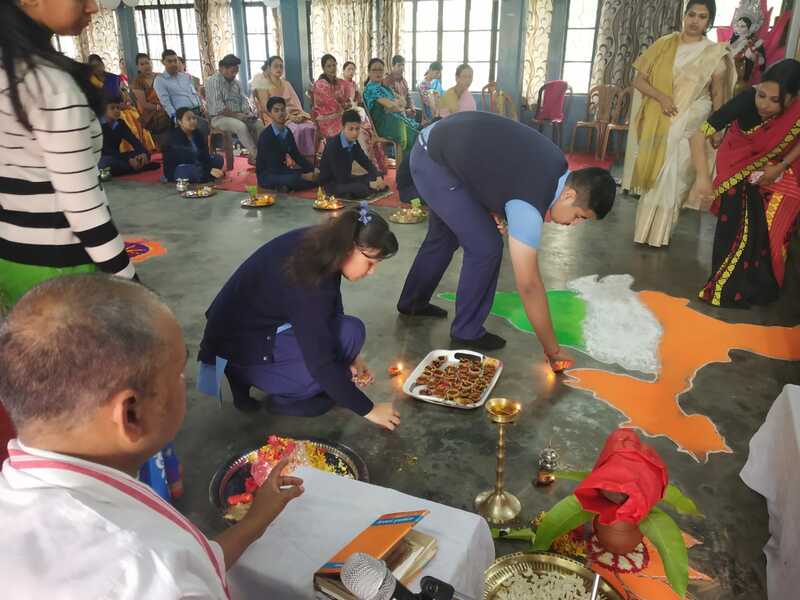 Then Principal of VKV Ramnagar Sri Bijan Saha welcomed the guests , parents and everone and highlighted on the importance of the Puja. 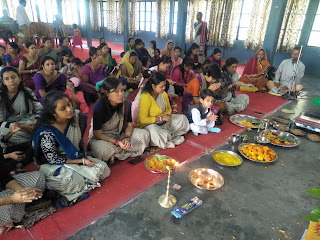 With the guidance of Pandit Santosh Dubey puja started. The whole hall transformed into a very divine ambiance. After the Puja, students and teachers shared their experiances of the last ten years journey. 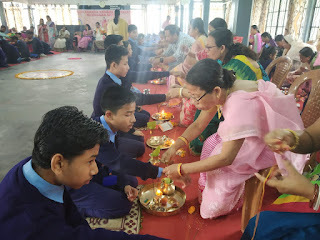 The students then took blessings from everyone and lighted the diyas and took prasad. A beautiful Farewell song was presented by students of Class IX . A PPT presentation was also done by the students of Class IX. Program concluded with Shanti Mantra.